Located just a 5-minute drive from Jatim Theme Park in Batu, Gemini Homestay offers simple and cosy accommodation with free WiFi access throughout the entire property as well as on-site private parking space for guests who drive. It takes around a 6-minute drive from the property to Batu Night Spectacular. Getting to Abdul Rachman Saleh Airport will take around 1 hour by car. 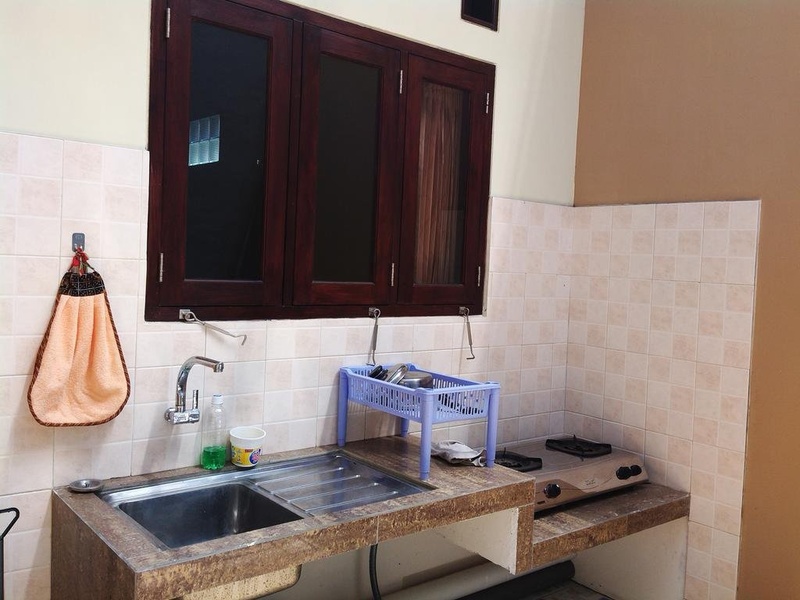 The accommodation at Gemini Homestay provides a separate living area fitted with sofa and a flat-screen TV, a dining area, and a well-equipped kitchenette. Featuring a wardrobe and comfortable beds, the bedrooms also have linens and towels. The private bathroom has shower facility. At Gemini Homestay you will find a garden and a terrace. Other facilities offered at the property include laundry service and daily housekeeping. The staff at 24-hour front desk can assist in arranging car hire and airport shuttle service at additional charges.